This is the multi-purpose table I use in my shop. 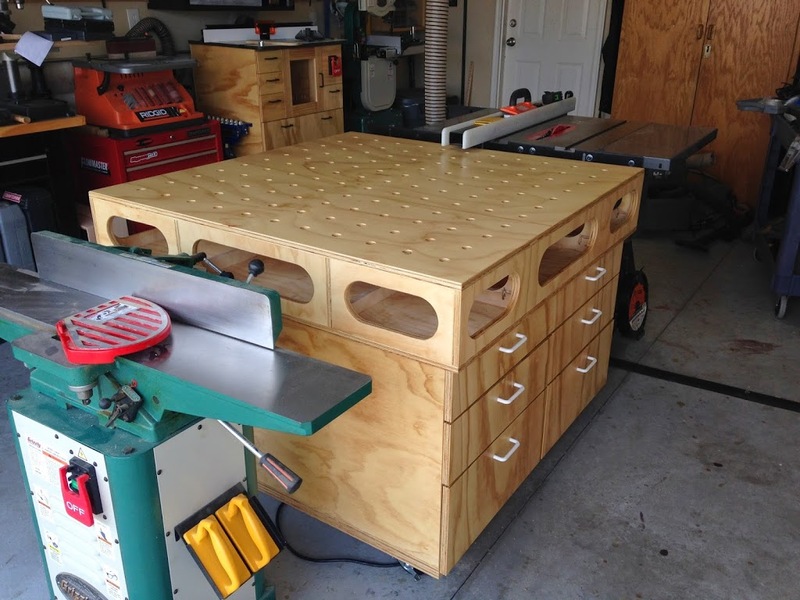 It acts as my outfeed table for my table saw, my workbench, and my assembly table. Below you will find an video overview, a link to my blog post with details about the build, and a link to download the SketchUp file. Your multipurpose table is really nice. I’m a 70 year old woodworker who has been spending way too much time on the internet trying to gather all the best ideas for basically everything. This winter I am finally going to try to sell some of the stuff I make. Don’t need a fortune, just enough to supplement my SS. Keep up the good work! Thanks, I can only hope that at 70 I am still making saw dust!! !